Dubai, UAE: MonViso, the purest and minimally mineralized Italian water will have a presence at major events in the UAE as it continues its “Take Water. Give Life” campaign, where for every 1 litre sold, MonViso is donating 1 AED to the Al Jalila Foundation which supports the global cause of transforming lives through medical education and research. The brand’s humanitarian and sustainability commitment is evident, as since January 2017 till January 2019, MonViso has donated the equivalent of 334,326 liters via the original donations program designed for Dubai’s hospitality industry by MonViso and Al Jalila Foundation. 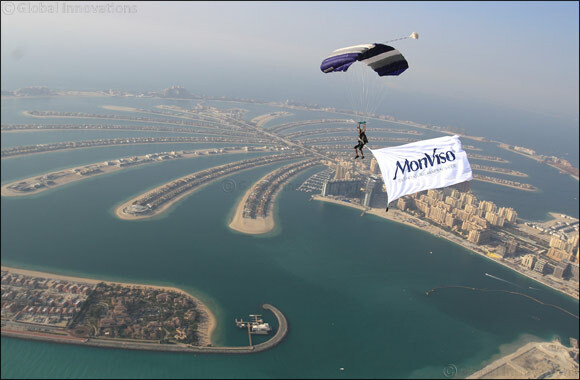 MonViso is part of Desert Warrior Challenge, RAK Terry Fox Run, Corporate Sports Championship, Hamilton Aquatics, and the Burj Al Arab Swim, promoting the “Take Water. Give Life” cause. Visitors to the MonViso stand at the events will be able to sample the Alpine Italian mineral water from Europe’s highest source with the lowest content of sodium in the world, contaminant-free purity, low-grade mineralization and low nitrate content. MonViso is also an eco conscious brand as it recently launched a recycling program for homes, in association with HomeCycle, which is the brand’s logistic partner for home collection of plastic bottles and glass. It is the first water brand in the UAE to launch a sustainability program where the revenue from the net sales is donated to Al Jalila Foundation. MonViso water, with its unmatched set of health properties is recognized by the Italian Ministry of Health as suitable for the preparation of baby food and formula. The minimally mineralized water helps avoid fatigue, purifies the kidneys, helps maintain optimal blood pressure and makes it safe to consume in large quantities.